Oxidation is a primary cause of food spoilage causing rancidity, discoloration, off-flavors, changes in texture and more generally leads to decreased nutritional value. 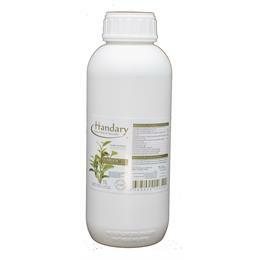 With Handary rosemary extracts, you can prevent a number of these degradation processes naturally. 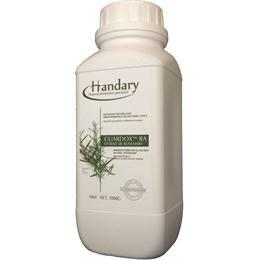 Guardox™ RA Rosmarinic acid is the most potent water soluble antioxidant compound from rosemary. With the unique deodorizing technology of Rosmarinic acid, Guardox™ RA is minimized the odor and bittiness at recommended usage level, making it suitable for delaying lipid oxidation or rancidity in a wide range of aqueous foods. 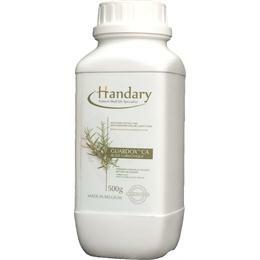 Guardox™ RA represents the highest grades of rosmarinic acid with minmized odor and bitterness in comparison to conventional rosemary extracts, making it suitable for delaying lipid oxidation or rancidity in a wide range of aqueous foods. 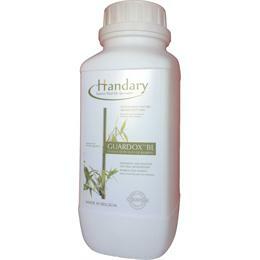 Guardox™ RA is available in 500gr/bottle or 20kg/bag, plastic bottle materials comply with Regulation (EU) No 10/2011. According to Regulation (EC) No 1829/2003, Guardox™ RA can be declared as non-GMO natural extract. Proper incorporation of Guardox™ RA into food products is imperative to ensure that antioxidant components are thoroughly dissolved and/or homogeneously dispersed in the food matrix. The selection of application methods may depend on the type of food products, processing methods, and the availability of the equipment used for food processing. Guardox™ RA is available in a fine-grained powder form. 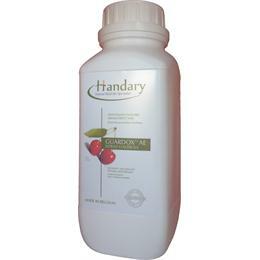 It can be solubilized in water prior to addition into foods. Water-soluble Guardox™ RA has a low viscosity for easy adding and homogeneous distribution. In the USA, rosemary extracts have the GRAS (Generally Recognized As Safe; see FDA 21 CFR 182.10) status declaring that they can be used in any concentration in any application. They are classified as spice extracts (see FDA 21 CFR 101.22). They are classified as natural flavors in the EU (see EC 88/338). 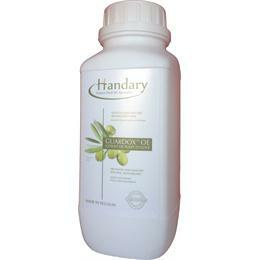 Guardox™ RA is natural plant extracts allowing consumer-friendly labeling. Depending on country-specific regulations, they can be labeled either “rosemary extract”, “natural flavor”, or “antioxidant: rosemary extract’”. According to Regulation (EC) No 1829/2003, Guardox™ RA can be declared as non-GMO natural extract.